What a high jump! 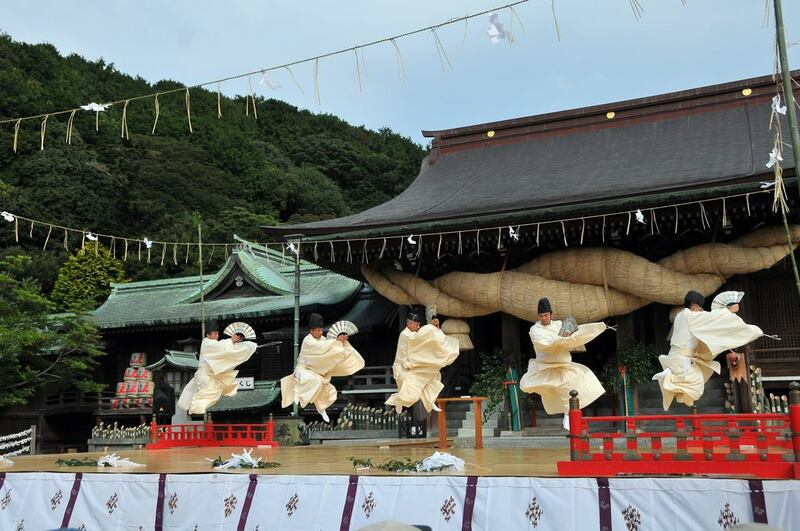 The dancers are all priests of the Jinja (shinto shrine), including the chief priest. In Japan, the dances devoted to the deities are called “Kagura”. Actually, it is very unique that a chief priest at a jinja dances Kagura. This dance has been performed at this jinja over 1600 years. It is said this place was once a sanctuary of an ancient dynasty located in the northern part of Kyushu. This is the holy dance descended since then. Copyright © Miyajidake Jinjya , All Rights Reserved.